Encephalitis. What a mouthful of a word. Ever heard of it? I hadn’t heard of this 12-letter word until 6 years ago. 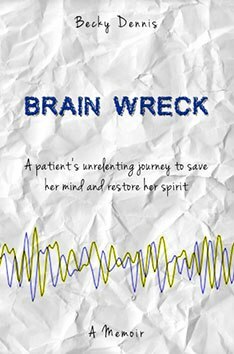 When the doctor said it, I kinda shrugged, thinking “thank God it wasn’t a stroke.” His expression changed as he explained that encephalitis is a form of brain injury, quite similar to a stroke. “Huh? !” He broke down the word for me … encepha = brain and itis = swelling, therefore encepha + itis = swelling/inflammation of the brain. It also = life-time change. When the brain is inflamed, all sorts of damage occurs, impairing memory, vision, balance, sleep, cognition, taste/smell, ability to concentrate and well, I could list another 200 residuals that encephalitis survivors report, including personality change. Why is it so little known? Well, there’s been little research to date and no celebrity endorsement of its devastation. Heard of West Nile Virus? You may not have known that it caused encephalitis in more than 60% of its survivors in the last 5 years. And of those adult survivors, only half had the mental and physical capacity to return to work. Handy piece of info left out of the media hype. In honor of World Encephalitis Day, February 22, I urge you to share this post in an effort to raise awareness of this horrible illness that strikes 500,000 people each year, and 20,000 and rising here in the U.S.
To my fellow survivors, here’s to you for celebrating World Encephalitis Day … we survived! With its challenges, understood. And to the caregivers and medical teams who provide outstanding care in the face of this chronic trial, we honor you … your patience, compassion and sacrifices. Thanks to the Encephalitis Society for putting World E Day on the map! Thanks for writing this post. Encephalitis is so widely misunderstood and yet, the effects of it are so devastating for those of us who survived it. Thank you for writing this. It feels good to be “heard” as most people, though empathetic, have no idea what encephalitis is or how our lives are different as survivors. And the medical profession appears shockingly unaware of how to help survivors recover. It feels a little less lonely while reading your blog-appreciate it!